Bellingen Urban Landcare have a working bee on Sunday 31st July, 9am to midday, at Ringwood Creek to help protect and expand this very rare and precious rainforest. 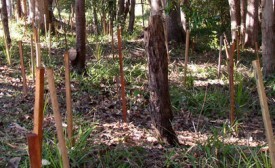 At the Ringwood Creek site, rainforest understory has been emerging as Camphor Laurels have been removed in phases. 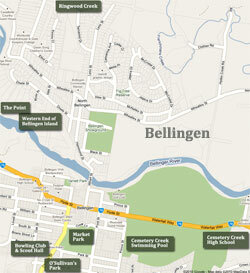 Trees have been planted, including Ringwood, Red Cedar, Bangalow Palm and Weeping Lily Pilly. Volunteers and contractors have weeded – Lantana, Blackberry, Privet, Senna, Morning Glory and the incorrigable Tradescantia. The promising-looking Salvina Beetle has also been released to try and deal with this hard to manage water weed (see more info from CSIRO about Salvinia Beetle). If you would like to become involved join us at our next working bee! Learn about local rainforest plants, local weeds and how to control them from the experts whilst having some fun… and feel even better on your Sunday afternoon! Bring some morning tea to share. For more information contact Kim on 0421476541.